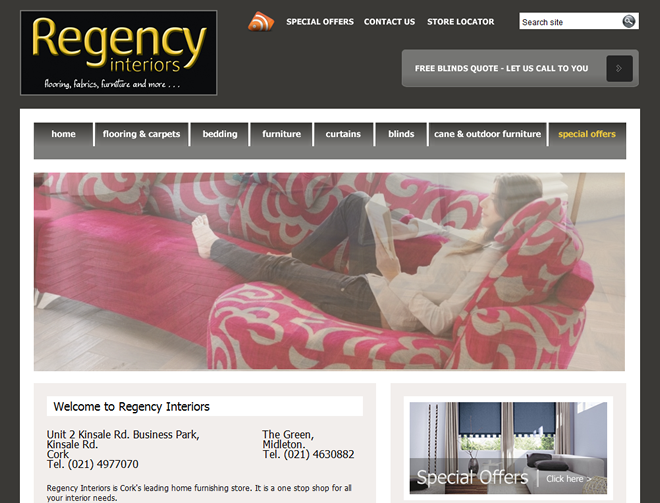 We re-designed Regency Interior’s website in 2009. 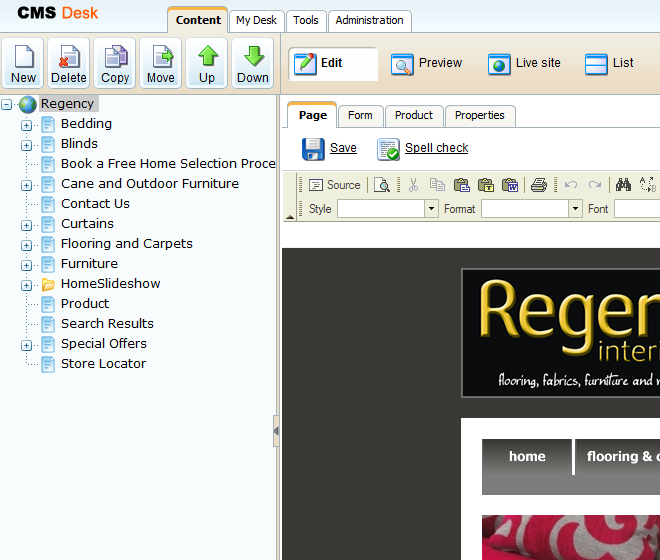 They wanted to easily update their website and showcase their great range of furniture. They also wanted to rank highly for related search terms in Google. 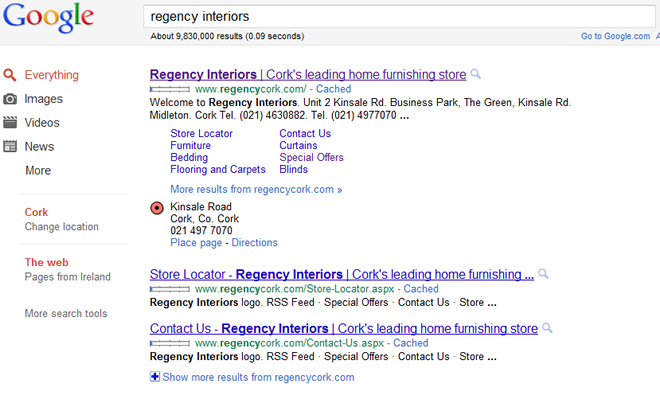 The website now ranks number 1 for “furniture stores in Cork”, and related terms. See the pictures for more details.